The team began their day by meeting at Paul and Sarah Wright's home for a bible study and prayer time. 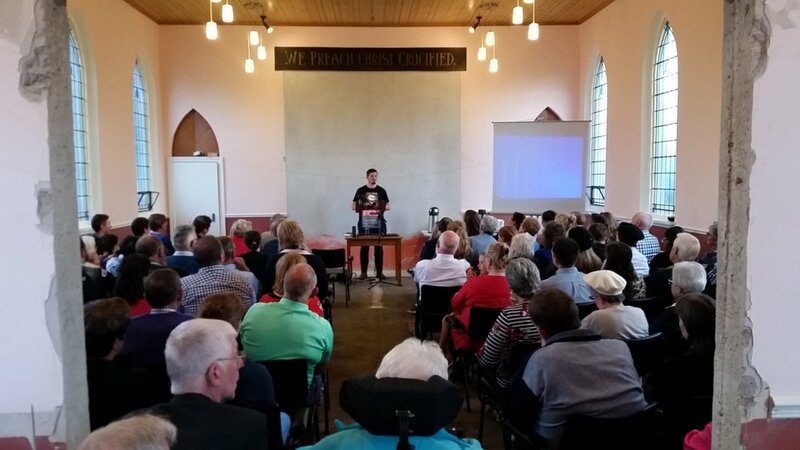 The bible study was once again led by Liam Richardson and it focused on persecution and how we are to count persecution as our privilege and that we shouldn't shrink from it. The passages used for study were John 15:8-25 and Matthew 5:11-12. The rest of the morning and the afternoon was spent doing more door-to-door work and leaflet distribution around Cookstown. 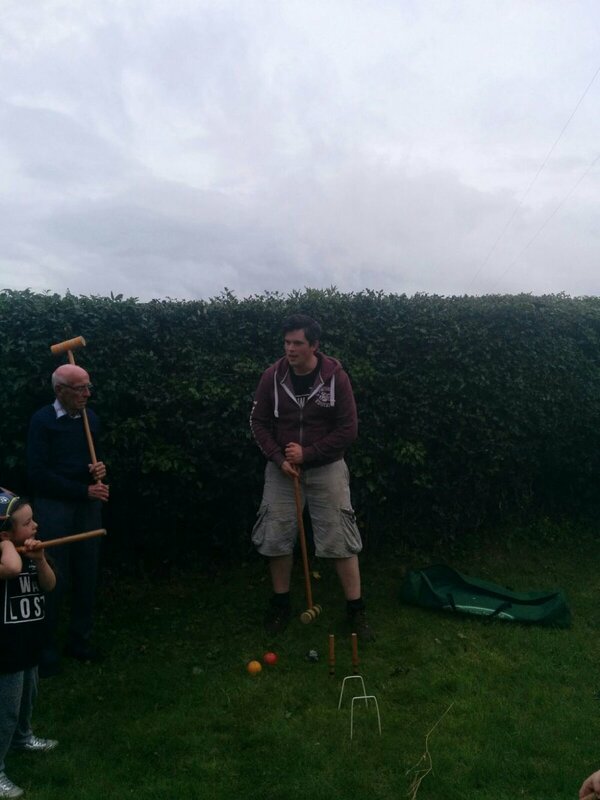 To finish the day, the team met for a BBQ at Roger and Lydia Sloan's and activities included croquet, baby cuddling and psalm singing. Please continue to pray for good numbers tomorrow night at the meeting and that the Holy Spirit would be at work softening people's hearts. Pray for the work of the church as they start up English classes again in September. Pray for the church as they seek guidance in setting up a Sunday school for the community on Sunday afternoons. The Cookstown GO Team began yesterday (8th August) and is set to run until Saturday (11th August). The team is made up of nine members, they are: Liam Richardson, Charis Wilson, Anna Coulter, Hannah Fallows, Rebekah Moore, Jill Greer, Henry Greer, Rachel Stephens and Caroline Barr. Liam Richardson led the team in a bible study focusing on ‘Boldness’ to prepare them for the work ahead. Following this, the team immediately put into practice what they had learnt as they engaged in some door-to-door work and leaflet distribution for the upcoming public meeting planned for Friday. 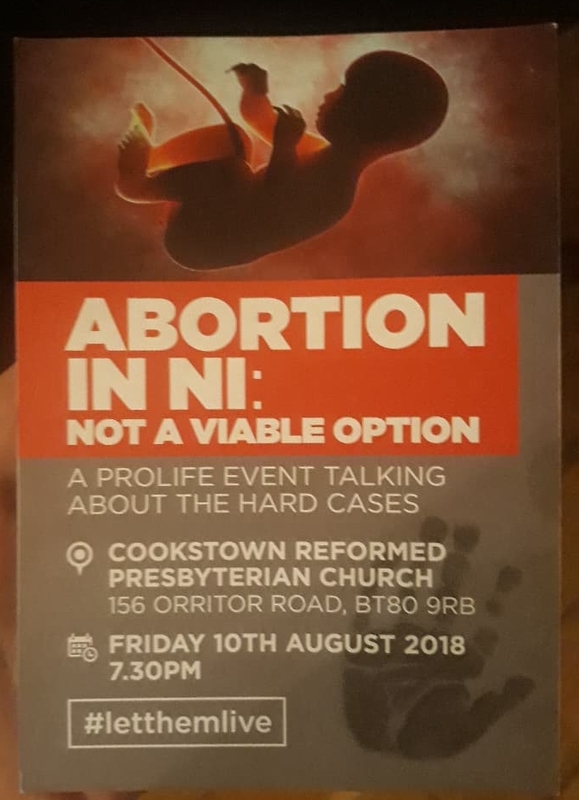 The title of the meeting is: ‘Abortion in NI: Not a viable option’. 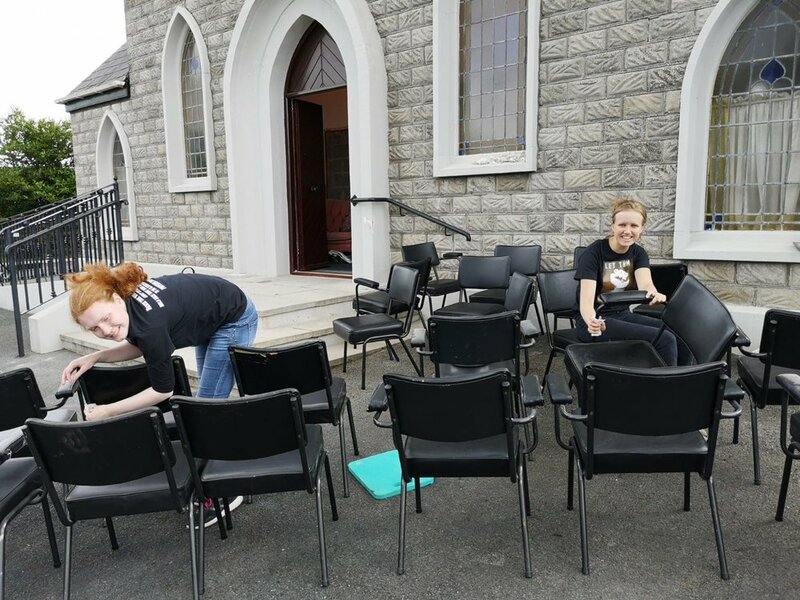 In the afternoon the team spent some time helping to clean up the Cookstown church premises. Please pray for the contacts made on door-to-door, and that people would come to the meeting on Friday. Pray that God would be at work in the hearts of those met on the doors and in the hearts of those who attend the meeting. Please pray for the neighbours of the church as they helped in the clean up and joined the team for tea and with whom the team made good conversation. Please pray for Caroline, a lady who left the church last year. She contacted Paul yesterday and is keen to attending Friday’s meeting. Pray that God would make Himself known to her and that she would start coming again to Sunday services. The final day of the team began with a study on holiness. The team thought about how holiness means being like the Lord Jesus, being distinct from the world, and how holiness leads to good works which will lead others to glorify our father in heaven. The team did door to door work again and were encouraged by the responses they received. 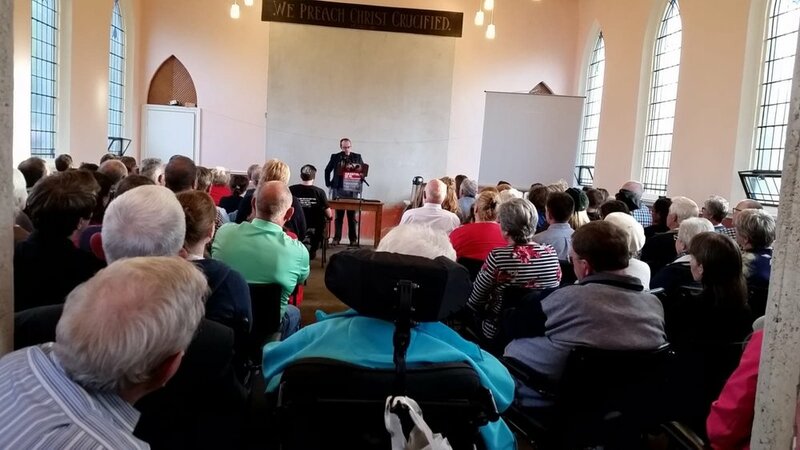 Some people said that they would come to the service on Sunday evening - please pray that they would be true to their word! In the afternoon the team went to another nursing home to sing psalms and Paul addressed the residents from the Bible. There was time after that for some more door to door work, and a quick power nap to reenergise for maximum banter in the evening! After a suitable rest, it was time for a BBQ for members of the church, the GO Team, and others who have supported the work in Cookstown. It was a great time of food, fellowship, psalm singing, croquet, and banjo playing. Having thought on Wednesday about how the horrors of hell should spur Christ's people on to share the gospel, the team spent time in the morning considering how the glories of heaven are also to motivate Christians to spread the message. After studying God's word, the team headed out into the town with their message of eternal value. The team is very thankful for the dry weather which God provided in the morning and afternoon as they gave out invitations to the special service on Sunday night. Please pray that people would come and hear the message! There were many opportunities to talk to others about what the team are doing: some went onto the street in order to meet people, the team played music and sang psalms in a care home, and spoke with the residents. Reactions have been mixed over the last few days: there have been encouraging conversations and there have been discouraging ones. 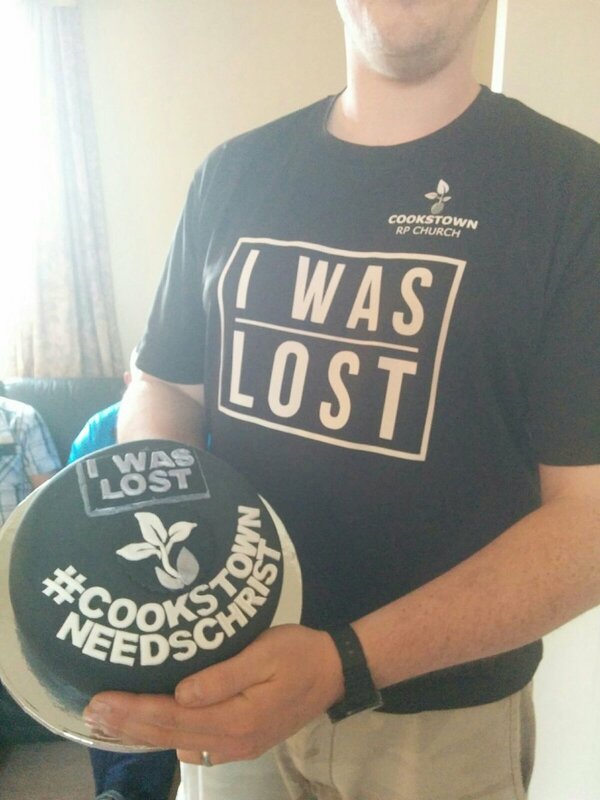 Give thanks for how both demonstrate that people are thinking about the message the team has been helping the congregation to bring to Cookstown. The team are also really thankful for how God has blessed them this week: for his help as they have spoken to others and for the fellowship he has provided them with in this task. Please give thanks with them for the unity they have and for the time they have enjoyed praying, singing psalms, and playing games together. Please pray that this would be a witness to others. Cookstown is home to many people who go to church, yet have never experienced the glories of Christ's gospel for themselves. 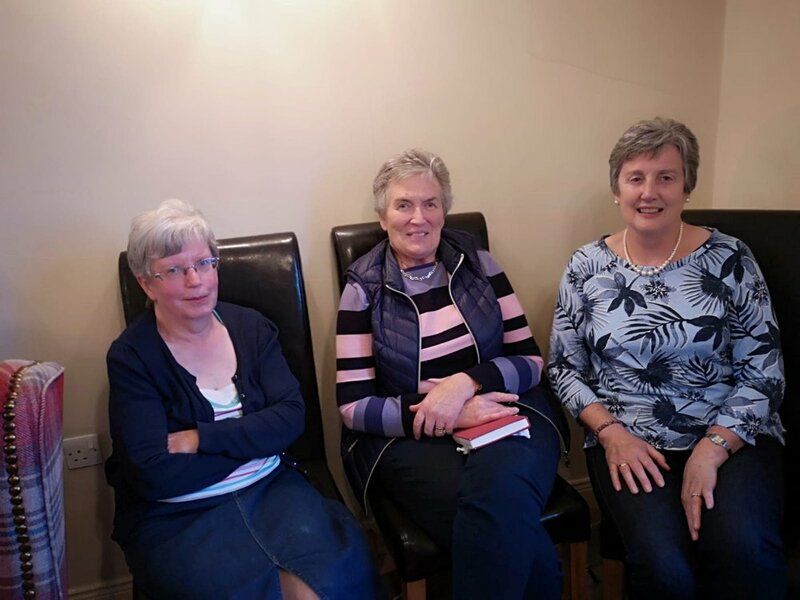 Many simply hope or assume that everything will work out for them in the end; the church in Cookstown and GO Team that are helping this week are seeking to bring the message of certain salvation in Christ to those in the town. The team have been helping to distribute invitations to a special service this Lord's Day, along with an introduction to the congregation. Please pray that people would read this and that God would bring many to the service so they can hear the good news. 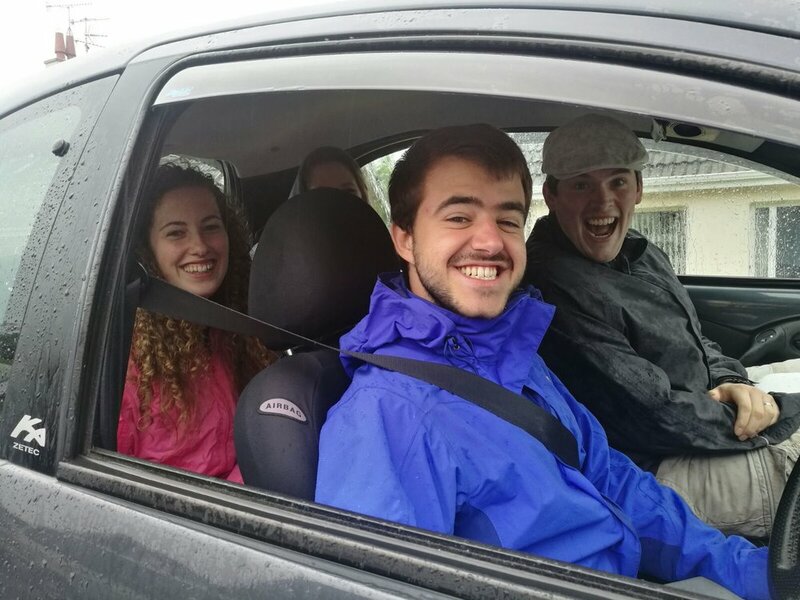 Please give thanks for how God gave the team such a good first day: for the time spent studying the doctrine of hell with Liam (the team leader) and how that spurred them on to get out into the town. Thank God too for the fellowship the team and members of the congregation have enjoyed and for the time spent committing the town to the Lord in prayer. Give thanks also for how God enabled the team to have some good conversations with people at their doors and please pray that these conversations would lead to people coming to the service on Sunday evening and putting their faith in Jesus Christ.